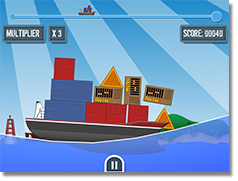 Cargo Chaos is a 2D physics based puzzle game about a telekinetic captain and his attempts to keep his dangerous and unpredictable cargo safe from the high seas. Cargo Chaos has reached the final stages of development and is projected for release in July 2013 on Android and iOS systems. Postman's Odyssey is a 3D atmospheric platformer surrounding the fate of an unfortunate postal delivery worker tasked with making deliveries within a strange and unforgiving landscape. Along the way he will meet stranger characters and be drawn into the mysteries of this world. 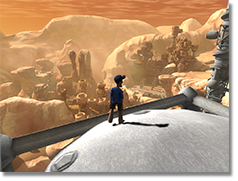 Postman’s Odyssey is currently in early development with a projected release in early 2015. A race against time to deliver yourself and your most vital organ to a hospital. 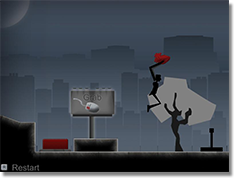 Heart on your sleeve is a puzzle platformer where you have a limited time to carry your slippery disembodied heart to the end of the game using an intuitive player arm mechanism. The Establishment was the first project for Considerable Content. The initial intention was to create a serial and use each iteration as a way to learn game development. The first and incomplete iteration can be played here. 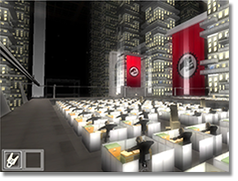 Two other iterations along with the first are awaiting completion for the end of 2013. The Establishment was a great way to learn about game development and was very successful in teaching us about the many different elements of game design. We found where most of the issues surrounding the release of episodic content reside. Basically, as development was undertaken our skills increased at such a rate that each subsequent chapter was better than the last but began to increase in development time.